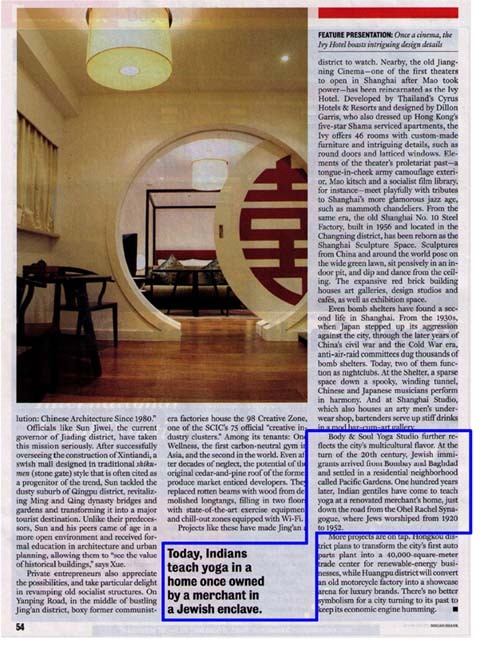 Recently Body & Soul is gaining more and more attention from Media. In February 2009 our teachers are teaching yoga on the ICS TV channel. You can see them each weekday from 7.00 to 7.30 in the morning energy series. 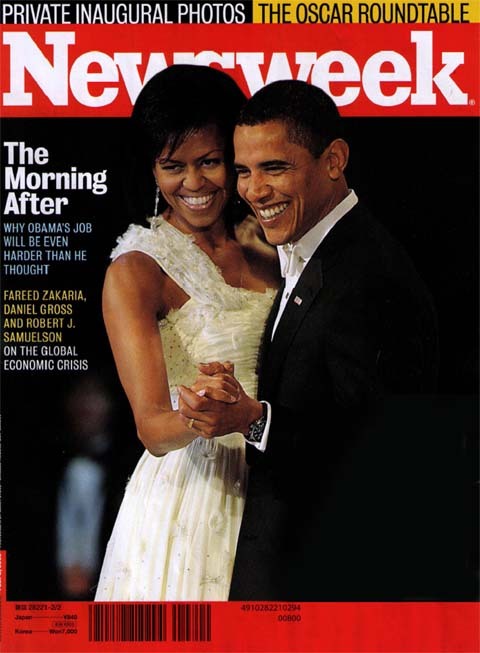 Newsweek magazine (issue 2nd February 2009) was also talking about Body & Soul! 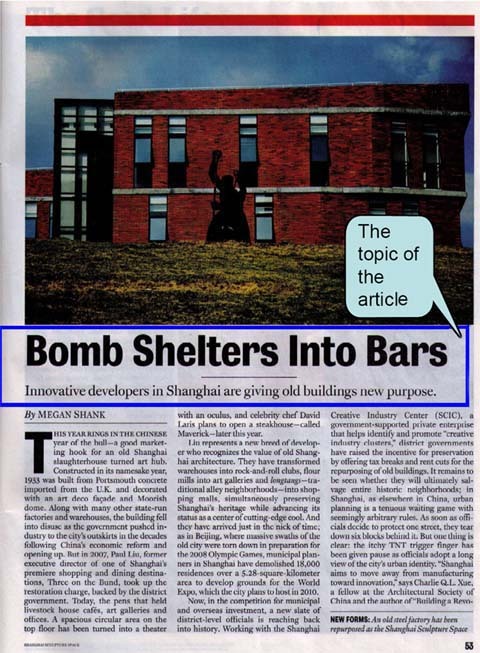 Newsweek, one of the highest reputable magazines worldwide, run an article about historic buildings in Shanghai and their modern use. Body & Soul's location in an old merchants house was quite outstanding. We will keep our special style of Body & Soul Yoga and take all this encouragement to work harder and better to bring us closer to be the most loved Yoga club in Shanghai! Shankha Prakshalana/Intestines Cleansing Private Yoga Class on Promotion Now! Shankha Prakshalana Yoga is one of the ancient Kriya yoga methods. Shankha is for cleaning the entire digestive system. -Shankha Prakshalana will purify your body effectively, cut your weight intensively and improve the shape of your body. -Shankha Prakshalana will effectively and physically clean the digestive system; get rid of left-overs, gas and old stuff. -A series of stretching and tensing bending postures will greatly improve your circulation so that all your cells and organs will get much more nutrition. This also pushes toxins out of your body.